Victoria L. Bernhardt, Ph.D., has directed the Education for the Future Initiative since its inception in 1991. Victoria is known worldwide as a leading authority on data analysis for continuous school and district improvement. She is the author of 22 highly praised books on data analysis, school improvement, Response to Intervention, and more. Each of her books shows schools and school districts how to do the work themselves. Her workshops focus on building capacity to analyze and use data effectively. Victoria is known for her down-to-earth, roll up the sleeves, real work that leads to student achievement increases at all school levels. Victoria is a Research Professor (Emerita) in the College of Communication and Education, at California State University, Chico. 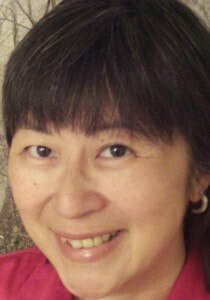 Cecelia Leong is the Associate Director for Programs at Attendance Works. Since joining Attendance Works in 2011, she has helped expand the technical assistance resources available to communities across the country. In addition to providing high quality professional development through webinars and online learning modules, Cecelia works closely with the Attendance Works team to identify emerging technical assistance needs in reducing chronic absence and creating innovative tools to address those needs. Prior to joining Attendance Works, Cecelia worked for a variety of organizations that focus on district and school reform initiatives such as Pivot Learning Partners and Berkeley Policy Associates. Cecelia has an AB from Harvard University and a Master’s Degree in Public Policy from the University of California, Berkeley. Brandi is an Information Technology Specialist with the California Department of Education. For the last 10 years she has been the lead analyst on the California Longitudinal Pupil Achievement Data System (CALPADS). Karen Larson is Lead Academic Technology Specialist for the Santa Clara County (CA) Office of Education, working with teachers supporting the integration of technology, personalized learning, and innovative practices in their classrooms. Previously Karen served as a junior high teacher and administrator in elementary education. 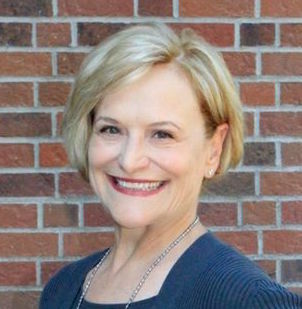 Karen sits on the Board of Directors of Silicon Valley Computer Using Educators, a professional developer for Leading Edge Certification and advisor to San Jose Tech Museum of Innovation’s STEM council. Karen holds a Master's of Education degree in Learning and Technology. ​Martha Friedrich, CSIS Client Services Officer, has directed the Client Services Department since 2002 and has been with CSIS since 2001. She is responsible for implementing and managing user support systems to enable California school districts and county offices of education to effectively and efficiently use CSIS Services and complete the state reporting requirements of the California Longitudinal Pupil Achievement Data System (CALPADS).She also manages the development and delivery of user training and documentation. Prior to joining CSIS, Martha worked nine years at a county office of education supporting five school districts’ use of a financial and student system. April is the Equity, Assessment, and Accountability administrator for the Campbell Union School District in Silicon Valley. April has been with Campbell Union School District since August 2002. During that time, she has held a number of positions: Middle School Mathematics & Cultures teacher, District Math Coach, AVID District Director, assistant principal, principal, and Equity administrator. She is a first generation college graduate. As a member of a military family, she has lived in multiple cities across the country, which afforded her cultural experiences that continue to fuel her ability to connect with people of diverse backgrounds. “Education is the gateway to access some level of equality/choice in lifestyle and helps students overcome basic needs and luxury limitations. I educate students so they can have a fighting chance in an uneven race to their personal definition of success. I'm devoted to true equity in education, meaning: 'people getting what they need, when they need it.'" Lisa Hayes is an Implementation Specialist with the California School Information Services (CSIS). She is responsible for providing training and support to Local Educational Agencies (LEAs) on the CALPADS state reporting system, and assisting them with the implementation of Data Management Best Practices. She has worked with districts throughout the state to help them with the implementation of policies and procedures to facilitate the transition to state reporting. Prior to joining CSIS, Lisa was with Modesto City Schools overseeing the district’s student and financial information systems as the Information Systems Supervisor, with the Defense Logistics Agency as a Project Manager, Computer Specialist and Programmer/Analyst, and taught Computer Science at Delta Community College and Modesto Junior College as a part-time instructor.